Coming home for the holidays carries special significance for many folks. Whether your family member is returning from military service, from college or from a relocation that took them away from the family home this is a cause for a special celebration. It’s a time to dust off all the great family traditions and create an atmosphere of warmth and comfort. And yes it can be a stressful time especially if the family members that are visiting have become extended with the addition of sons and daughters and even family pets! 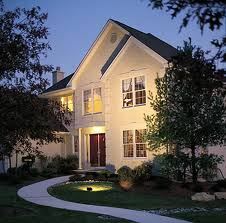 To ensure that this holiday celebration will be hassle free you first need to get the home ready to receive visitors. This is going to require a top to bottom review of all the clutter you have been hanging onto. This could finally be the time you get rid of all that junk once and for all. When a son or daughter moves away, the natural inclination is to convert their bedroom into a different kind of space. If they are no longer going to be living at home there is no reason to keep their bedroom just as it is, right? Sometimes this spare bedroom simply becomes a big storage locker for all kinds of clutter in the home. It’s easy to shove old furniture, television sets and all kinds of other junk into the spare room and forget about. After all once that doors close is out of sight and out of mind. But now the family members a coming back home you need to reclaim that room from all that junk and make it a viable bedroom. You can complete this task with the help of the top Kansas City Junk Removal team – Junk King Kansas City. If the family that’s coming over for the holidays has grown by leaps and bounds then you might need to create even more sleeping space. This is where taking advantage of a basement or attic could come into play. Once again those two areas are prime spots for the proverbial dumping ground of junk in a home but it doesn’t have to be that way. Despite the reputation from many horror movies attics can be a wonderful place to set up a guest room. And because you’ll be using Junk Hauling professionals you won’t have to worry about climbing up and down the steps dozens of time to remove whatever junk you have up there. The Junk King hauling specialists are happy to climb those stairs for you! Getting ready for the visiting family is going to fill up a lot of your time so whatever task that can be handed over to someone else is going to be of a great benefit for you. Clearing out the clutter by using professional junk haulers is a perfect example. All you have to do is point to what you want taken away and off it goes! Make this holiday special by starting with a clutter free home. This entry was posted in Get Rid of Old Furniture, junk king kansas city, kansas city junk removal, KC Junk Removal and tagged clear clutter, clear junk, Get Rid of Junk KC, kansas city junk removal, KC Junk Removal on November 30, 2011 by Mike Stroud. Last updated August 2, 2017 .